It is essential to our democracy that government agencies remain accountable to the people. When a state agency adopts a rule or regulation, it makes choices that affect us in our daily lives, and I have always felt strongly that everyday people need to have a voice in that process. For the past four years, I have worked hard to make that message of accountability clear to unelected regulators. This newsletter discusses some of the issues I have addressed during the first half of 2006, along with some victories resulting from last year’s efforts. It also details 2006 legislative efforts to make state agencies more open and accountable. I invite you to contact the Commission office to learn more about these issues or to share your thoughts on other regulatory matters. The Administrative Regulations Review Commission (ARRC) is charged by law with oversight of the rules and regulations adopted by New York State agencies, and with developing and promoting new laws to reform the process used to create rules. Rules and regulations have the force and effect of law, and often have a major impact on the lives of New Yorkers. In 2006, both houses of the Legislature passed a bill introduced by Assemblyman Diaz to continue the process of regulatory reform. The bill, A.9598, builds on the changes made to state law by one of Assemblyman Diaz’s successful 2005 bills. Last year’s legislation, Chapter 441 of the Laws of 2005, eliminated useless paperwork in rule adoptions to make it easier to adopt health and safety protections. The 2006 legislation will finish the process of streamlining the rulemaking process. It passed the Assembly and Senate unanimously and will be sent to the Governor in the near future. Assemblyman Diaz also continued his efforts to have regulators consider the impact of proposed rules on consumer prices. His bill, A.8061, would require an agency proposing a rule change to determine if the action could result in changes in the prices paid by consumers for goods or services, and the probable amount or range of such price changes. The bill was not taken up in 2006 but will be a priority for next year. Hopes were raised when the Department of Environmental Conservation (DEC) announced a new policy on environmental justice in permit cases in 2003. However, since then progress has been slow at that agency and almost non-existent at other state agencies and public authorities whose activities impact the environment. In addition to attempting to keep the pressure on state agencies through his comments on environmental regulations, Assemblyman Diaz has taken the lead in promoting legislation to move the State forward in pursuing environmental justice. In 2006, the Assembly again passed Assemblyman Diaz’s bill to identify those neighborhoods that bear the highest burden of toxic exposure. The bill, A.5982, would require DEC to compile and analyze pollution data and identify high local environmental impact zones. It is currently in the Senate Environmental Conservation Committee. The Assembly also gave passage to another Diaz bill on environmental justice. A.4190 requires every state agency and public authority to adopt a policy on environmental justice. It also creates a Permanent Environmental Justice Advisory Group, made up of community-based organizations, environmentalists and business and local government representatives, to guide the actions of state agencies and authorities in this area. This bill was also referred to the Senate Environmental Conservation Committee. Beyond these legislative efforts, the Assembly Chair of ARRC hopes to launch a review this fall of what steps state agencies have been taking to promote environmental justice – and what additional measures remain undone. Last year, the Assembly ARRC Chairman took part in a report entitled Needle in a Haystack - FOIL’s Subject Matter List: Are Agencies Complying? The report found widespread noncompliance by state agencies with FOIL’s requirement that they maintain current and reasonably detailed subject matter lists of the types of records they possess. Some agencies had no lists, others had short lists with little detail, and some had lists that were more than a dozen years out of date. 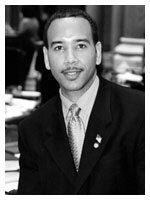 In 2006, Assemblyman Diaz introduced three bills based on the report’s recommendations. These bills provide for general guidance to state agencies on how to develop and maintain informative lists (A.10347), require subject matter lists to be posted on agency websites (A.10349) and provide for online posting of other useful information on FOIL, such as names and addresses of records access officers and how to request records (A.10348). Enactment of these bills would make it easier to obtain public information held by state agencies. Each of these bills passed the Assembly and has been referred to the Senate Committee on Investigations and Government Operations. The full Needle in a Haystack report can be accessed by clicking here. One of the most important activities of ARRC is to review the proposed and existing rules and regulations of state agencies and, when they seem to be burdensome or illogical, to seek changes. The Assembly Chair of ARRC frequently comments on proposed rules that fail to follow the requirements of state law or to serve the public interest. While agencies are usually not required to follow ARRC’s recommendations, many times common sense prevails and the problems with the rules are fixed. Assemblyman Diaz and his colleagues achieved a significant victory on another regulatory issue raised in 2005. They had argued that there was no legal or factual justification for proposed banking rules to raise the maximum fee consumers can be charged on a returned item from $10 to $20, and to allow banks to charge even higher fees for small businesses. The Assembly members felt that it added insult to injury to charge more than $10 to a victim who was cheated into taking a bad check. The Banking Department agreed with the Assembly comments and withdrew the amendment increasing the return item fee cap. Assemblyman Diaz also wrote to the Department of State in 2005 to note his concerns on a proposal to implement a new regulatory reform law he had sponsored. The law, Chapter 730 of the Laws of 2004, increased public access to the guidelines, memoranda and other guidance documents relied on by state agencies. It required agencies to publish lists of all guidance documents they rely on, either on a website or in the State Register. The Department had proposed to exempt agencies that say they do not rely on any guidance documents, but Assemblyman Diaz commented that unless the exempt agencies were identified, the public would never be sure if they had been excused from compliance or were simply ignoring the law. The agency agreed and added a commitment to identify exempt agencies to the final rule. In January, the Department of Motor Vehicles (DMV) began a new vehicle inspection sticker program for upstate New York. The program, which had previously been used in the downstate air quality region, involves punching not only the month of the inspection, but also one of three areas on the windshield sticker, indicating in which third of the month (1st – 10th, 11th - 20th or 21st -31st) the vehicle had been checked. The validity of the sticker would expire in the following year, on the last date in the third of the month indicated. Although the program commenced on New Year’s Day, DMV did not even propose changes to its rules to authorize it until later in January. Almost immediately, motorists in some upstate communities began to complain. They did not believe that the justification for the change outweighed the inconvenience to individuals and businesses, and they also were offended that DMV had gone ahead with it without first consulting the public. In February, Assemblyman Diaz joined several other Assemblymembers and Senators in relaying these objections to DMV. In March, DMV withdrew the rules from further consideration and cancelled the program. 2006 saw continued efforts by state agencies to adjust their regulations implementing the Freedom of Information Law (FOIL) to a new 2005 law requiring timely responses to requests for records. 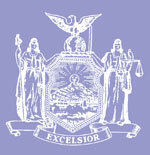 Efforts by five related agencies headquartered in New York City drew the attention of Assemblyman Diaz and the Chair of the Assembly Governmental Operations Committee, Assemblymember RoAnn M. Destito, who voiced concerns in February over several proposed provisions that could allow those agencies to ignore FOIL requests or to delay providing members of the public with copies of records. The agencies (the Housing Finance Agency, Affordable Housing Corporation, Municipal Bond Bank Agency, State of New York Mortgage Agency, and Tobacco Settlement Financing Corporation) are currently considering a corrected redraft of their FOIL regulations. Last year the Legislature enacted a new law (Chapter 452 of the Laws of 2005) containing several provisions designed to unclog court calendars. One was transferring cases where two or more no-fault auto insurers argue over which is liable for handling the claim of an injured party from the courts to a special arbitration forum. The Legislature wanted to make it faster and easier for accident victims to receive compensation and more difficult for insurers to duck responsibility for payment. However, the regulations developed by the Insurance Department included several provisions which were burdensome for accident victims, including requiring them to pay a $40 fee up front and to submit voluminous and unnecessary paperwork. Assemblyman Diaz and Assemblyman Alexander “Pete” Grannis, Chair of the Assembly Insurance Committee, wrote in May to object to the regulations and to urge the Department to minimize any additional burdens on accident victims. The creation of Medicare in the 1960s presented an opportunity for state and local governments to save money on health care benefits. Since the Federal program would take over some of the health insurance costs for eligible public employees and retirees who enrolled, a law was passed requiring them to apply for Medicare and – to ensure that they would not lose money on the deal – requiring the state to pay the full cost of their Medicare Part B premiums. However, the Pataki administration decided last year to try to charge public employees and retirees for a share of the Medicare premiums. Assemblyman Diaz wrote to the Department of Civil Service in February to question the authority for this action and the financial burdens it would impose on employees, retirees and possibly on local governments that participate in the state health insurance plan. The proposal is currently the subject of a lawsuit by several public employee unions. One of the major environmental initiatives of this decade was the 2003 enactment of the “Brownfield Cleanup Program.” This law set forth a framework for the cleanup and reuse of the many sites contaminated by toxic chemicals in our state. The Department of Environmental Conservation (DEC) proposed sweeping regulations late in 2005 to implement this program. In March, Assemblyman Diaz sent in comments pointing out the need for changes in several areas of these regulations, including the need for tougher and more consistent soil cleanup standards and for better assessment of a cleanup site’s impact on neighboring sites. He also criticized DEC for failing to incorporate environmental justice principles and processes into the regulations. Assemblyman Diaz pointed out that some of the additional measures DEC requires for permit applications in environmental justice areas are equally justified for proposed brownfield cleanups – however, because no permit is involved there is no such requirement. Assemblyman Diaz urged DEC to incorporate its environmental justice policy into the brownfield cleanup program regulations. Late last year, in response to a 2005 outbreak of cryptosporidiosis at a spray ground at Seneca Lake State Park, the Health Department issued new regulations concerning the operation of aquatic spray grounds. Assemblyman Diaz joined several of his colleagues to voice support for the new standards, but also to raise concerns that the Department’s approach seemed to be too inflexible with regard to water treatment and disinfection technologies. They noted that the regulations required the use of ultraviolet light (UV) disinfection systems, and that, although spray ground operators had indicated that alternative methods could produce results comparable to UV systems, the agency had refused to consider alternatives. In its response, the Department indicated that variances and waivers would be available if it can be proved that the health and safety of the public would remain protected. In April, the Office of Mental Retardation & Developmental Disabilities (OMRDD) proposed to repeal what it called “outdated, antiquated regulations and forms” on admissions to mental health facilities. OMRDD stated that most of the regulations were duplicative of other state or Federal laws or regulations. However, after reviewing the rules Assemblyman Diaz contacted OMRDD in June to advise that some of the provisions were needed to protect the rights of persons in various types of facilities and to safeguard patients’ personal property. In addition, the Assembly ARRC Chairman pointed out that the regulations also affected facilities supervised by the Office of Mental Health and the Office of Alcoholism and Substance Abuse Services, and asked whether those agencies should have a formal role in any repeal. Similar comments were made by the Mental Hygiene Legal Service, an arm of the courts that advocates for the rights of people in the mental hygiene system. OMRDD is reportedly considering changes in the proposal based on these comments. In April, the Power Authority of the State of New York proposed amendments to update its rules implementing the State Environmental Quality Review Act (SEQRA). SEQRA sets forth the process for evaluating the environmental impacts of government actions. Although there were no problems with the changes proposed by the Authority, Assemblyman Diaz commented in June on the Authority’s failure to incorporate environmental justice principles into its SEQRA rules. He related the serious health and safety impacts that its power plants create for his constituents in the South Bronx and in other inner-city neighborhoods. The Assembly ARRC Chairman noted that, in response to concerns over society’s tendency to burden lower-income communities of color with pollution-producing facilities, the Department of Environmental Conservation (DEC) issued an environmental justice policy in 2003 — but no other state agency or authority had followed suit. He also pointed out that this policy commits DEC to take several additional actions when it serves as “lead agency” on a project, but these actions are optional when someone else is lead agency. Assemblyman Diaz called on the Power Authority to similarly commit to additional environmental reviews and hearings when it proposes a facility in an environmental justice area.